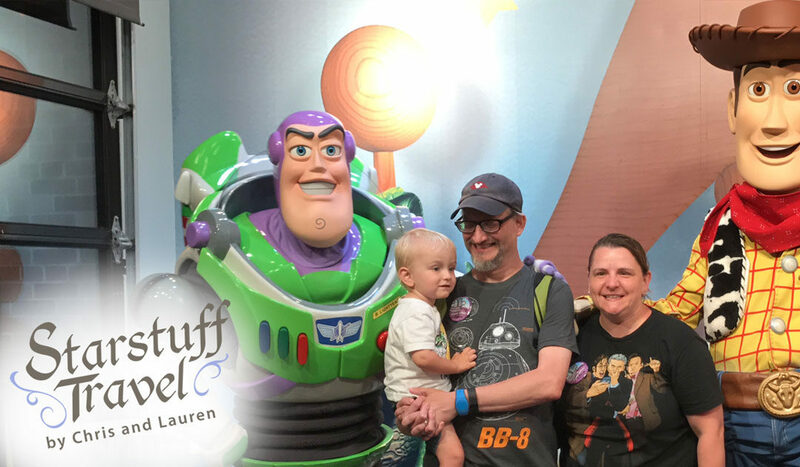 In this blog post, I am going to give a Pre-Trip Report as I have done many times on Disney planning forums, however I am going to do it here right on our website! With our upcoming trip right around the corner, I find my stomach flipping with excitement just as I usually do. However, this particular trip is going to be even more magical for me than normal because it just so happens that Starstuff Travel is going to have its very first Disney World Agent Education Program (AEP) while we are ALREADY going to be in Walt Disney World on vacation. Talk about meant to be! I often find butterflies in my stomach, as this is going to be an amazing experience for me and I have to pinch myself because I can’t even believe that I get to do something this cool. You will be able to follow our adventures on our Facebook page: https://www.facebook.com/StarstuffTravelByChrisAndLauren/ , as I will be going live and posting photos and videos multiple times during our trip. We will be staying for nearly 2 weeks. We will be with Chris’s family- his mom, brother, sister, brother in law, nephew, and niece. We will be staying at 4 different resorts (talk about resort hopping!) We (Lauren, Chris, and Tristan) will be arriving a day earlier than the rest of our family because we found that the price of a flight plus one night’s accommodation was the same price as flying down the next day. The rest of Chris’s family are driving down from our home near Pittsburgh, PA, and it takes two days of driving to get to Orlando. I’m not really willing to have Tristan stuck in the car for two days since he gets carsick and would not be able to use his iPad or anything. It kind of runs in the family because I tend to get carsick too if I’m not driving. We’re just about two weeks out, so my preparations for our trip are really picking up now. We have already made several dining reservations, as we could do so 180 days out from our trip. We have also made all of our Fastpass+ reservations, as we could do so 60 days out from our trip. Among the best ones we successfully scored, we will be riding Avatar: Flight of Passage again (and taking Chris’s sister’s family on it for the first time), and the two new rides in Toy Story Land, Slinky Dog Dash and Alien Swirling Saucers. We had to plan accordingly for Tristan, as he mostly takes after me and is very short. He unfortunately is just about 35.5 inches tall and will not hit the 38 inch requirement for Slinky Dog Dash or even Seven Dwarfs Mine Train. However, this year he WILL be tall enough to go on Goofy’s Barnstormer, kind of a kiddie coaster similar to the Little Phantom at Kennywood if you’re from Pittsburgh. We have received our MagicBands, and are just now starting to put things aside in our “Disney Box,” a bin that we keep in our bedroom and casually toss things in that we know we will be taking. We will be starting our trip just the 3 of us, flying down on Southwest Airlines nonstop to Orlando. We love Southwest first because our bags fly free, and second because of its Rapid Rewards program. It is a kind of affiliate program where you earn points for using their shopping links at literally hundreds of retailers. We usually save about a hundred dollars or sometimes more when we go to reserve our trips. On the first night, we will finally be staying at Disney’s Art of Animation Resort in a Little Mermaid standard room. The next day, Chris’s family will be arriving and we move over to Wilderness Lodge, my very favorite Disney Resort. It’s my favorite for multiple reasons- first, I love the log cabin-y rustic feel, the amazing lobby, and the great pool. Second, I love the fact that you can hop on a boat to the Magic Kingdom! Third, I love the fact that you can watch the Electrical Water Pageant from the beach! The last time we stayed at Wilderness Lodge was during our honeymoon, so I am really excited to be going back. After 4 or 5 days at Wilderness Lodge, we will be moving to the Staybridge in Lake Buena Vista for the weekend. Then after that we will be moving to the amazing Animal Kingdom Lodge, which comes in a tie as my second favorite resort (along with Beach Club). We will be staying in Savannah View, where we will be able to see giraffes, zebras, and other animals. We stayed there during our 2015 trip when Tristan was 4 months old. You can watch the vlog I made from that trip here. In my next post, I will share our itinerary, so stay tuned. I hope you enjoyed reading- please leave a comment below and tell me what you think. Free Dining 2019 has been released along with other Walt Disney World offers !!! !